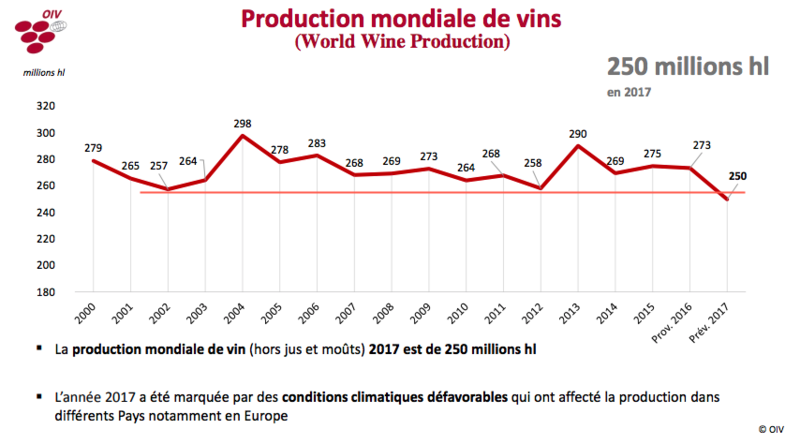 The Director-General of the International Organization of Vine and Wine (OIV), Jean-Marie Aurand, presented breathtaking information on the collapse of global wine production, assessment of the worldwide harvest, and the state of the overall wine industry at the organization’s headquarters in Paris on Wednesday. 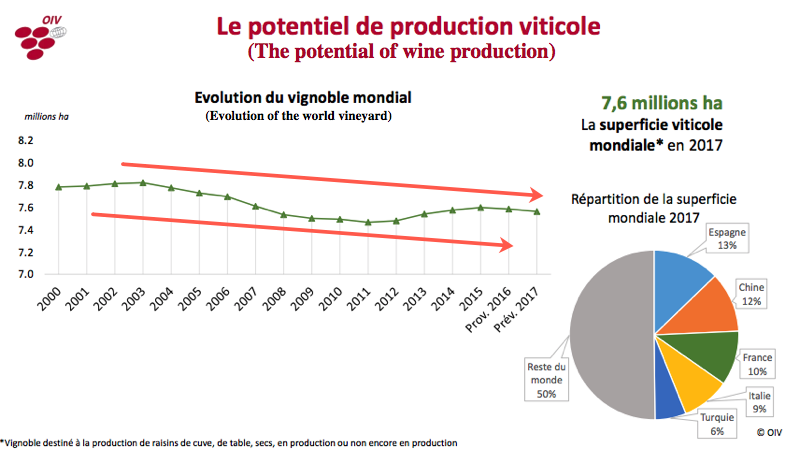 During the presentation, Aurand warned that global wine production collapsed in 2017, with a contraction of 8.6 percent compared with 2016 figures. 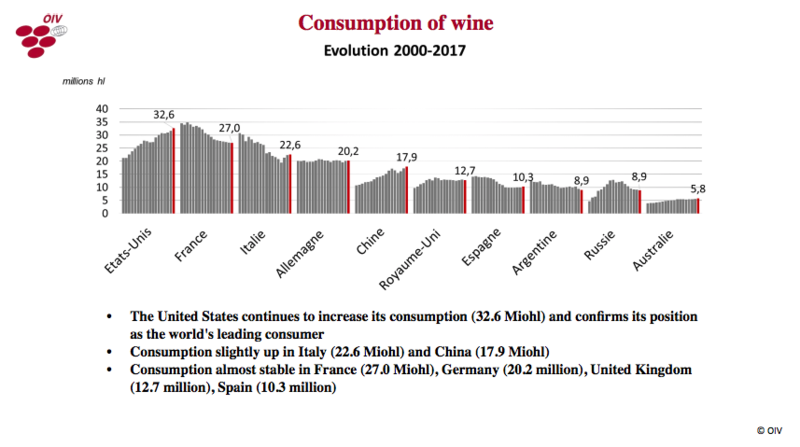 In fact, global wine output dropped to its lowest levels since 1957, primarily due to poor weather conditions in the Eurozone which slashed production across the entire bloc. 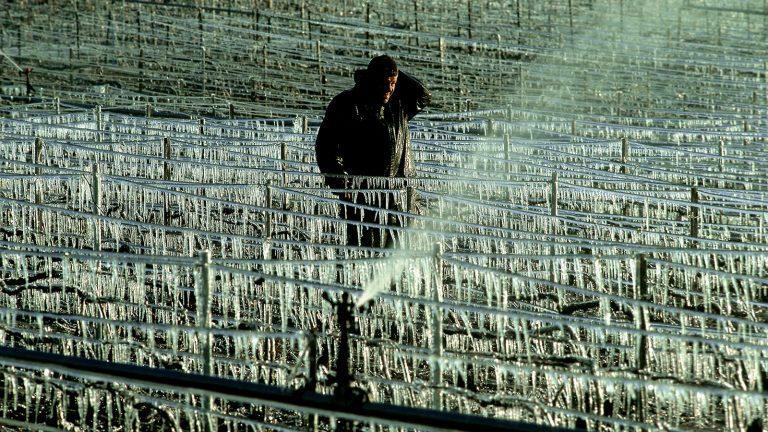 For instance, French winemakers were hit with the worst frost in 25-years, during the 2017 growing season. 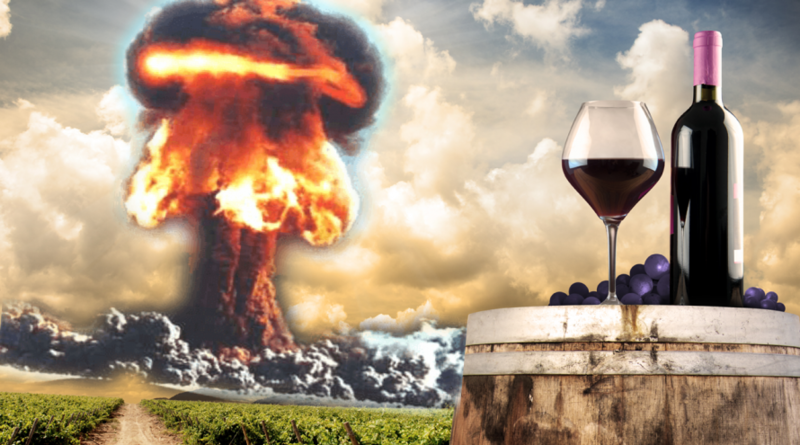 Vinters reported “widespread damage in Bordeaux, Burgundy, and Champagne, with some losing their entire 2017 crop,” said Wine Spectator. 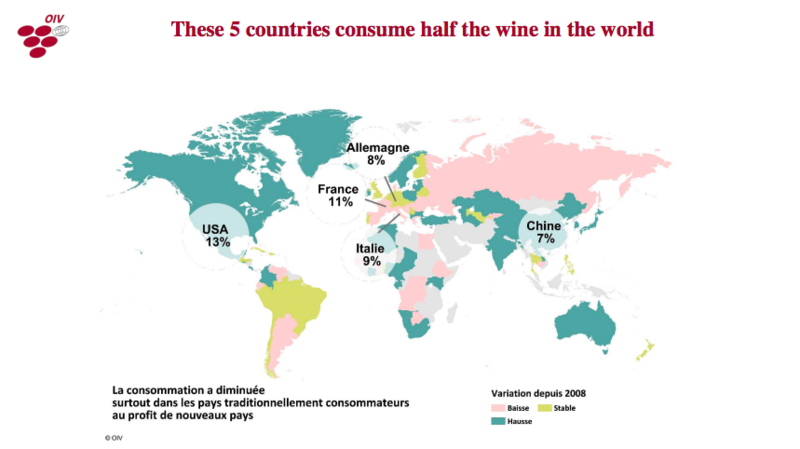 “We can already estimate that we have lost nearly half of the potential crop,” said Xavier Coumau, president of Bordeaux’s Syndicate of Wine and Spirits Courtiers. The OIV released a press release detailing the global state of conditions report: developments and trends. 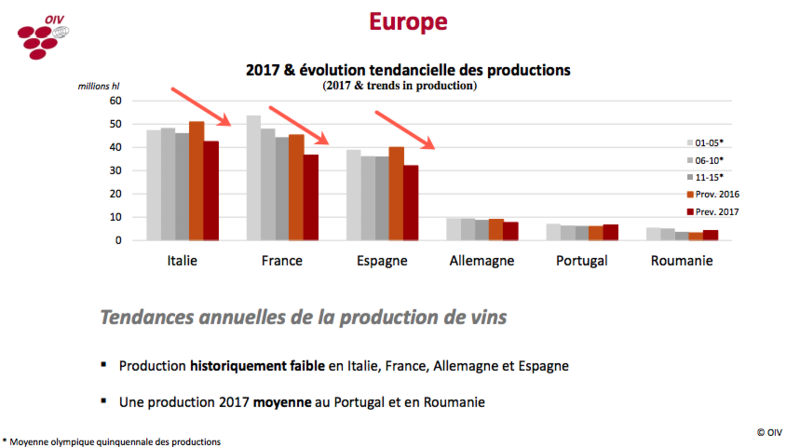 The report notes the “historically low production, buoyant consumption and continuing internationalization of trade.” Wine production totaled 250 million hectoliters in 2017, down 8.6 percent from 2016. 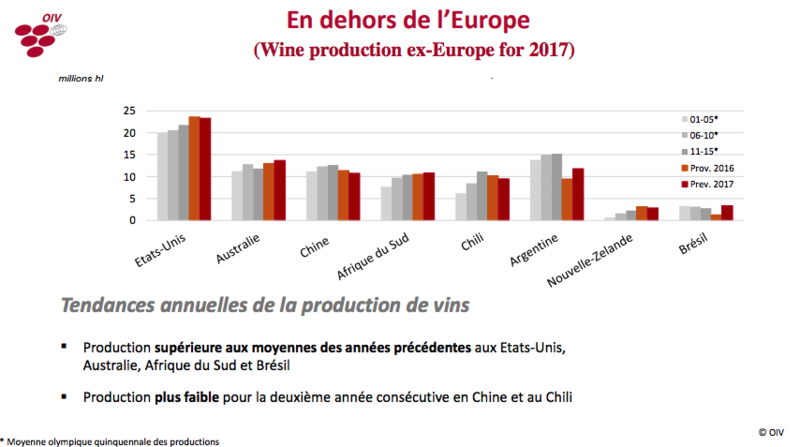 All major European wine producers saw tremendous crop losses due to poor weather conditions, which contributed to the collapse of -14.6% of wine production compared with 2016. 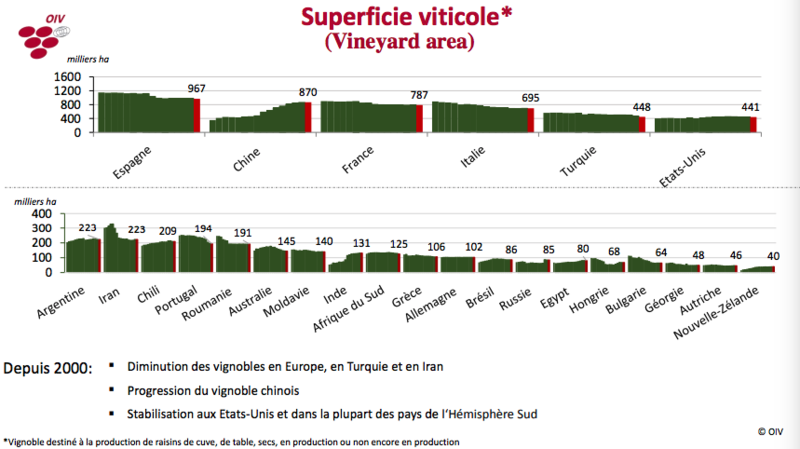 With 7.6 mha in 2017, the size of the global area under vines appears to have stabilized. 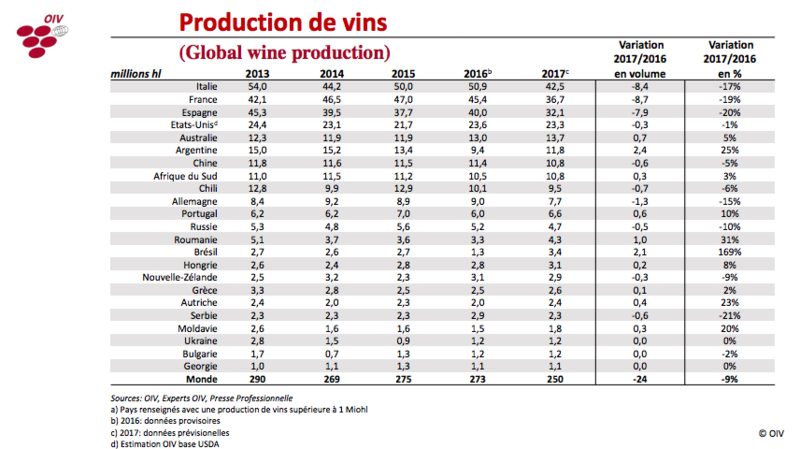 Wine production was at 250 mhl in 2017. This was a historically low production year, with a decline of 8.6% compared with the previous year, explained in particular by unfavorable climate conditions within the EU (-14.6% compared with 2016). 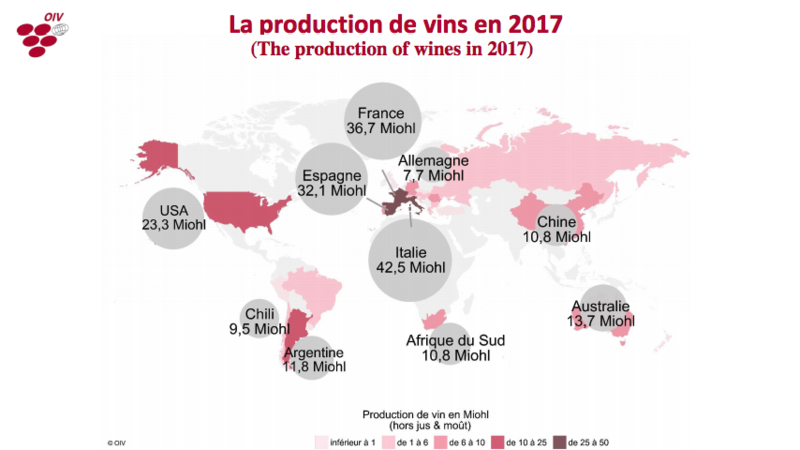 A total of 243 mhl of wines were consumed in 2017. Consumption had almost stabilized following the 2008 economic crisis, with a positive trend over the past 3 years. 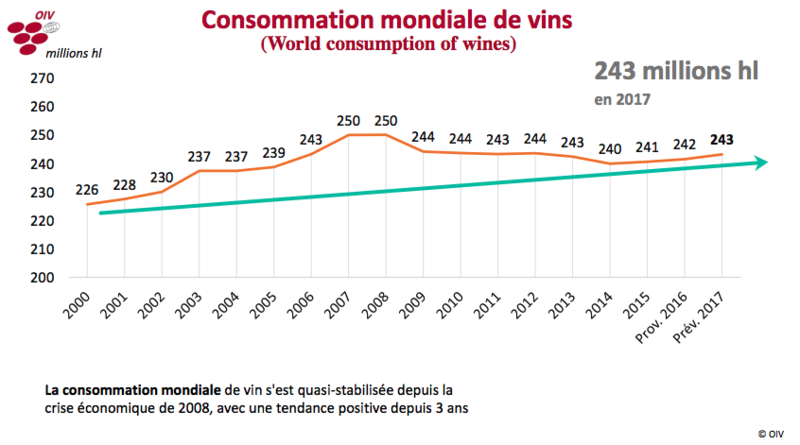 World wine trade: there was a very positive balance, both in terms of volume (108 mhl, +3.4% compared with 2016) and value (30bn EUR, +4.8% compared with 2016).